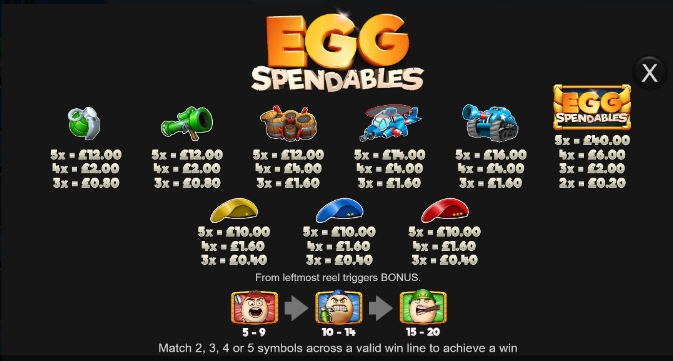 Join the Eggspendables in making the most money possible! 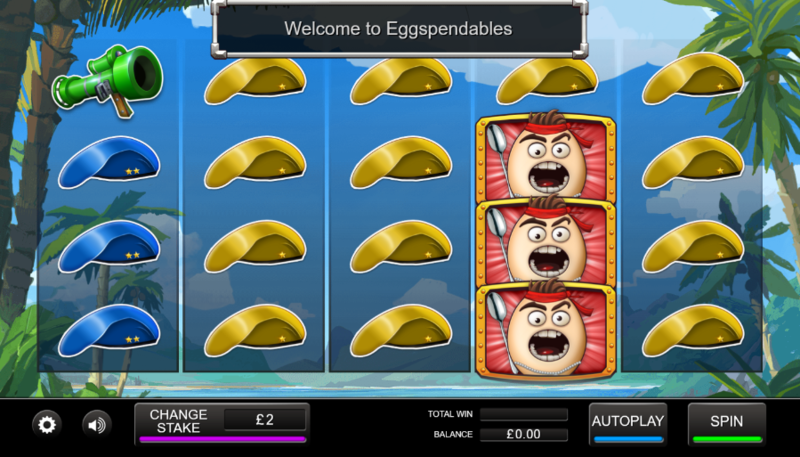 Welcome to the world of the Eggspendables on EasySlots.com, a world that is somewhat similar to our own, yet different in the amount of cartoon symbols that appear on the reels, depicting a somewhat fabricated version of the Expendables movie that came out a couple of years ago. This 5 reel by 10 pay-line game is one that most can pick up and master with ease, which is one of the main reasons as to why you should be playing this one outright. If you need more info, then be sure to check out the rest of our written review below! Mystery Symbols: Mystery symbols can appear in many different ways, offering the player something different to consider when spinning in future. At random intervals, the mystery symbols will lock and allow you to respin where applicable. Free Spins: Looking for the big scores? Then you will more than likely want to use the free spins here, why they are so valuable comes down to their ability to multiply scores. How you unlock the free spins comes down to however many scatters you can match initially. Click Easy for more promos and extra features to integrate into your gameplay!